Guys are pretty easy to shop for. Most of the time, you can just get stuff you’d buy for yourself. Yet sometimes, when you’re shopping for your dad, brother or any other guy on your shopping list, you have to cast a wider net, because tastes obviously vary. Still, at least you can pick up some stuff for yourself while you’re browsing. Click the links within the write-ups to purchase each product online, and for more gift ideas, check out the other categories in our Holiday Gift Guide. Just when we thought George Foreman had fully exhausted every possible variation of his lean, mean grilling machine, it turns out he still had a trick up his sleeve. The fully portable Camp and Tailgate Grill is a nice addition to the ever expanding product line. Whether serving up a horde of fellow tailgaters or revitalizing a troop of weary hikers, this grill boasts 200 square inches of space to cook up 12 servings of food at one time. But despite the size, it’s surprisingly light and easy to carry around. It even comes with an attachable shoulder strap for easy transport to someone’s house or camp site. We found that the grill lights up and heats up quickly, and the reversible cooking surface added a welcome touch of adaptability. From burgers and brats, to pancakes and eggs, this grill does it all. We measured success, however, not by the plethora of handy product features, but by the quality of the finished meal. The empty plates and looks of satisfaction convinced us that George Foreman remains king of grills. Just because guys don’t talk about it as much doesn’t mean that skincare isn’t still important, and this limited edition grooming set from FOREO features everything you’ll need to leave your skin feeling invigorated and refreshed, including their award-winning LUNA for Men facial brush and Daily Revitalizing Gel Cleanser, as well as a trio of PRORASO shaving products. The centerpiece of the collection is the LUNA facial brush, which channels T-Sonic pulsations through its silicone touch-points, gently removing dead skin cells and unclogging pores of dirt and oil. This preps the skin for a more comfortable shave and helps prevent razor burn. If you’re worried about wrinkles, there’s also an Anti-Aging mode that utilizes lower-frequency pulsations that, when applied to certain areas on the face (like around the eyes), leaves the skin looking younger and more energized. The LUNA is completely waterproof and features eight different speed settings, but the one thing that really sets it apart from other devices on the market is the fact that it’s made from silicone, so it doesn’t require replacement brush heads, which can get expensive over time. Though this isn’t something that most men would buy on their own, once they experience the effects first hand, they won’t be able to start their day without it. 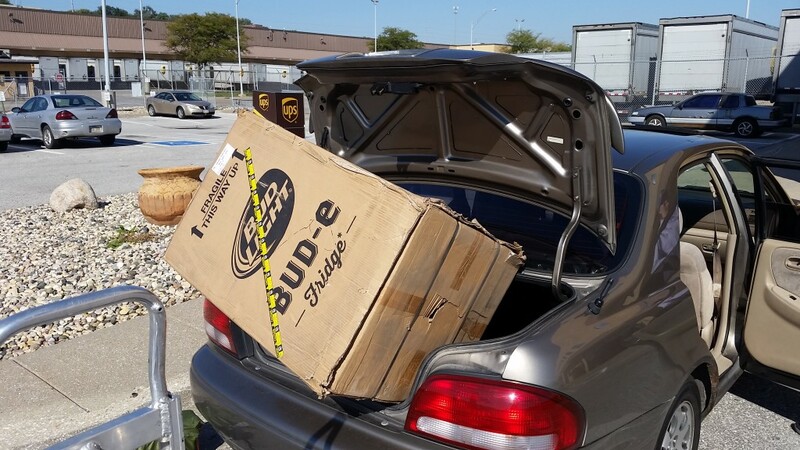 The most difficult part of ushering the new Bud-E Fridge into my life was fitting it into my car. Once that was sorted, the smoothness took hold. 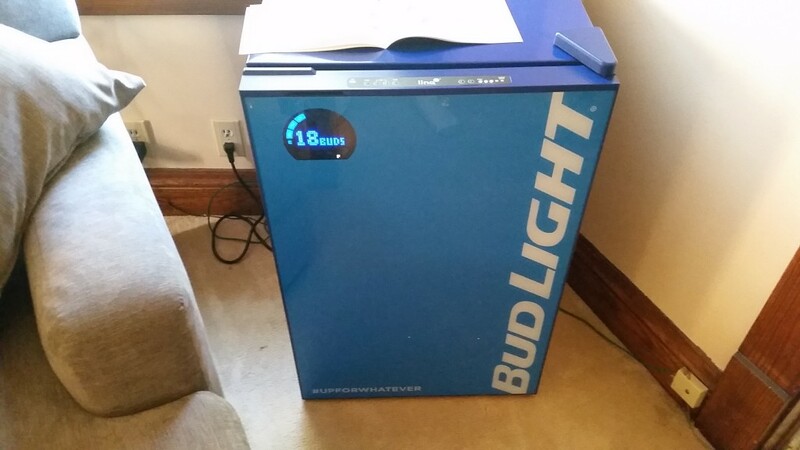 The Bud-E Fridge will gently force your life to conform around your love of Bud Light. This month, Bud Light launched the ultimate in smart technology innovation: the Bud-E Fridge. It’s a first-of-its-kind home smart refrigerator that enables you to view real-time information from your fridge via your phone, no matter where you are. Developed from the ground up by Bud Light, the Bud-E Fridge provides you with real time updates – including the number of Bud Lights in your fridge, temperature and even when your favorite sports teams’ games are approaching – to make sure you never run out of Bud Light. The interesting thing about the Bud-E fridge is the way people reacted to it. Without alerting house guests of its presence, I ushered them into my living room quietly to gauge their natural, organic reactions, and every single person smiled and laughed immediately when they saw it. Half of them asked for a Bud Light, which I happily served. The coolest physical feature of the fridge is the LED readout on the outside front of the door, which displays the exact number of Bud Lights you have in your fridge (seven at time of publication) at that exact moment in time. Go ahead, help yourself to a BL, and let the door close. Notice anything? The Bud-E fridge LED readout subtracts from your overall total and makes a sad sort of “wah-wah” sound as the number decreases. The coolest non-physical feature is the Bud-E app. From your smartphone, numerous features are available. You can see exactly how many Bud Lights are in your fridge to plan a potentially necessary trip to the store, and the Bud-E Alarm sends a push notification that lets you know when someone is getting into your fridge and reducing your precious stock of ice cold beer. Most guys love beer. With that in mind, any gift involving beer will make most guys happy, and if you’re looking for a cool stocking stuffer then you have to check out the Shakoolie – the original shower beer holder. 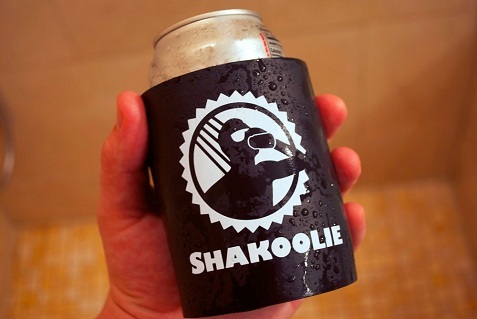 Yes, many of us like to drink an ice cold beer in the shower, so the Shakoolie provides a handy tool to hold your beer in the shower and also keep it cool. It even comes in pink as you can see above for the ladies on your list! Everyone loves fun gifts on the holidays, so keep this one in mind. The Shakoolie is also a perfect accessory for your bachelor pad, your boat or for the bathroom in your man cave.